In a move that might seriously impair Indo-Lanka relations, Sri Lankan President Maithripala Sirisena on Tuesday accused India’s Research and Analysis Wing (RAW) of plotting his assassination. Sirisena, who was speaking at the weekly Cabinet meeting, told Ministers that the Indian intelligence agency was “trying to kill” him, but that “Prime Minister Narendra Modi may not be aware of the plan,” The Hindu has learnt from sources present at the discussion. “We were just shocked when he said it,” a source said, requesting anonymity. When contacted for verification, a senior officer at the President’s media unit said: “We will verify this and revert.” However, there has been no response till the time of going to print. President Sirisena’s claim comes days before Prime Minister Ranil Wickremesinghe’s scheduled visit to New Delhi, where he will meet Modi to discuss bilateral matters, including key, India-assisted projects on the island. However, this is not the first time a Sri Lankan leader has accused the Indian agency of interference. Following his poll defeat in 2015, former President Mahinda Rajapaksa held RAW among those responsible for the change in regime. Sirisena’s allegation, sources at the meeting said, came when he raised concerns over the government’s “indifference” to an assassination plot targeting him. Reports of the said plot emerged last month when an individual named Namal Kumara, part of an anti-corruption outfit, claimed he was aware of a plan to assassinate Sirisena and former Defence Secretary Gotabaya Rajapaksa. The CID interrogated Kumara. The police subsequently also arrested an Indian national late in September. Local media reported that the Indian, identified as M. Thomas hailing from Kerala, claimed he knew of the plot. However, the Sri Lankan government issued an elaborate denial to the report and clarifications came from the highest level. Media Minister, Mangala Samaraweera slammed it as a “disinformation campaign”, urging reporters to be responsible. The Hindu, on Tuesday evening, spoke to multiple sources in government — across political parties — who attended the meeting, and they confirmed this. Tuesday’s meeting also saw a heated argument between President Sirisena and Wickremesinghe, when a cabinet paper on developing the Colombo Port came up for discussion. 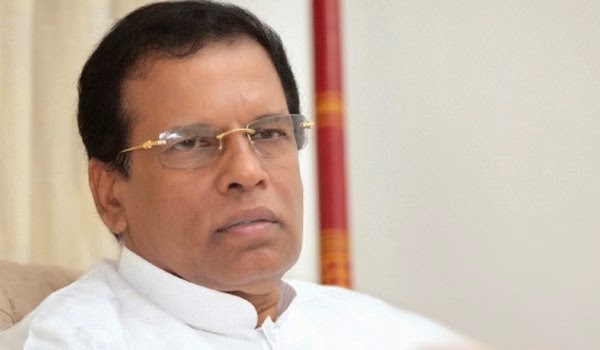 Sources said Sirisena vehemently objected to any Indian involvement in upgrading its east container terminal – a project that New Delhi has been keen to take up. However, Wickremesinghe is said to have countered by saying Colombo had already promised New Delhi on collaborating on the project, and it was important to rope in India at the terminal, given that about 80% of the cargo handled at the transhipment hub was meant for India. He reportedly sought a week’s time to sort out the issue, since he would be meeting Modi soon. Meanwhile, the President’s media unit on Tuesday called off a scheduled press meet by Sirisena’s advisers on the reported assassination plot.